The footwear company launched a pop-up to reward the sneaker community. Converse created a one-day event on 13 October to reward consumers who had bought the Off-White Chuck 70, its latest shoes produced in collaboration with fashion label Off-White. Those wearing any Chuck Taylor clothing who bought the shoes from Offspring’s Selfridges concession were given a Converse “coffee loyalty card”, which granted entrance to the Chuck Stop café. 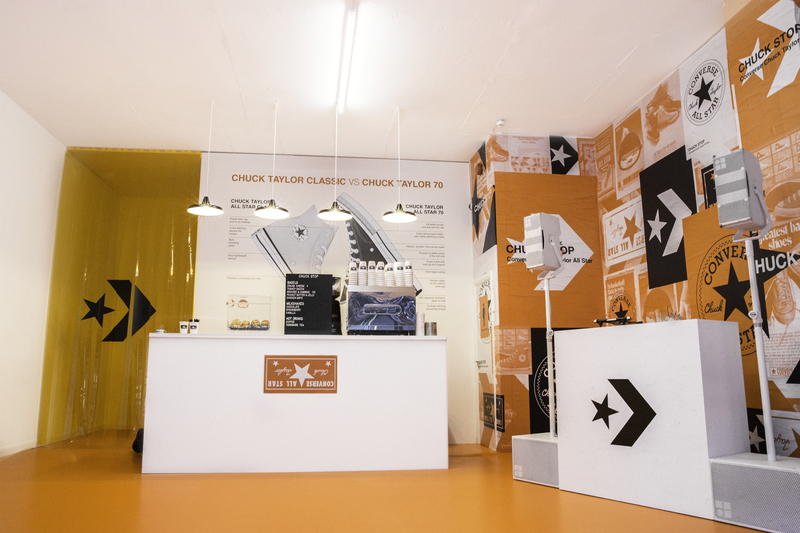 Inside the Chuck Stop, a transformed Offspring store near Oxford Street, guests could graffiti the Converse Chuck wall, take a picture at the community wall to enter the next sneaker raffle, pick up a free tote bag and socks, and enjoy a drink and a bagel.